INCLUDES: ONE YEAR MEMBERSHIP & BENEFITS OF THE NAVY SEAL FOUNDATION NATIONAL LEADERSHIP COUNCIL*, 10 TICKETS TO THE PRIVATE RECEPTION ON TUESDAY, SEPTEMBER 3RD (WITH NAVY SEAL FOUNDATION LEADERSHIP, GOLD STAR FAMILIES AND SPECIAL GUESTS), 8 TICKETS TO THE PRIVATE DISCUSSION & ROUNDTABLE**, RECOGNITION AS A 2019 DINNER TRIDENT CHAIR, 2 PROMINENT TABLES OF 10 AT THE DINNER, 20 TICKETS TO THE AFTER PARTY AT KITTY O’SHEA’S, 2 PREMIUM FULL PAGES*** IN THE EVENING’S PROGRAM, AND SOCIAL MEDIA RECOGNITION THROUGHOUT THE YEAR. CONTRIBUTE OR RAISE $250,000. 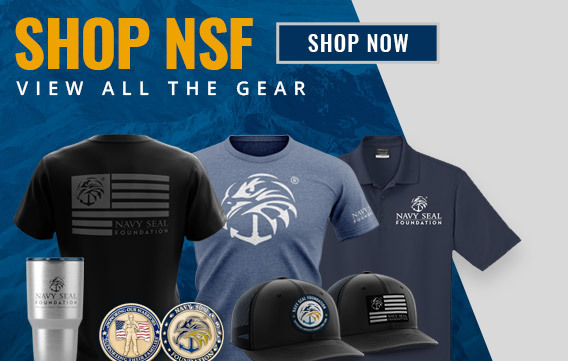 INCLUDES: ONE YEAR MEMBERSHIP & BENEFITS OF THE NAVY SEAL FOUNDATION NATIONAL LEADERSHIP COUNCIL*, 8 TICKETS TO THE PRIVATE RECEPTION ON TUESDAY, SEPTEMBER 3RD (WITH NAVY SEAL FOUNDATION LEADERSHIP, GOLD STAR FAMILIES AND SPECIAL GUESTS), 4 TICKETS TO THE PRIVATE DISCUSSION & ROUNDTABLE**, RECOGNITION AS A 2019 DINNER CO-CHAIR, 1 PROMINENT TABLE OF 10 AT THE DINNER, 10 TICKETS TO THE AFTER PARTY AT KITTY O’SHEA’S, 1 PREMIUM FULL PAGE*** IN THE EVENING’S PROGRAM, AND SOCIAL MEDIA RECOGNITION THROUGHOUT THE YEAR. CONTRIBUTE OR RAISE $100,000. INCLUDES: ONE YEAR MEMBERSHIP & BENEFITS OF THE NAVY SEAL FOUNDATION ILLINOIS COUNCIL*, 6 TICKETS TO THE PRIVATE RECEPTION ON TUESDAY, SEPTEMBER 3RD (WITH NAVY SEAL FOUNDATION LEADERSHIP, GOLD STAR FAMILIES AND SPECIAL GUESTS), 2 TICKETS TO THE PRIVATE DISCUSSION & ROUNDTABLE**, RECOGNITION AS A 2019 DINNER VICE CHAIR, 1 PRIME TABLE OF 10 AT THE DINNER, 10 TICKETS TO THE AFTER PARTY AT KITTY O’SHEA’S, 1 PREMIUM HALF PAGE*** IN THE EVENING’S PROGRAM, AND SOCIAL MEDIA RECOGNITION THROUGHOUT THE YEAR. CONTRIBUTE OR RAISE $50,000. INCLUDES: 4 TICKETS TO THE PRIVATE RECEPTION ON TUESDAY, SEPTEMBER 3RD (WITH NAVY SEAL FOUNDATION LEADERSHIP, GOLD STAR FAMILIES AND SPECIAL GUESTS), RECOGNITION AT EVENT AS AN ADMIRAL SPONSOR, 1 PREFERRED TABLE OF 10 AT THE DINNER, 10 TICKETS TO THE AFTER PARTY AT KITTY O’SHEA’S, 1 QUARTER PAGE*** IN THE EVENING’S PROGRAM, AND SOCIAL MEDIA RECOGNITION THROUGHOUT THE YEAR. INCLUDES: 1 TABLE OF 10 AT THE DINNER, 10 TICKETS TO THE AFTER PARTY AT KITTY O’SHEA’S, LISTING IN THE EVENING’S PROGRAM, AND SOCIAL MEDIA RECOGNITION THROUGHOUT THE YEAR. INCLUDES: 2 TICKETS TO THE DINNER, 2 TICKETS TO THE AFTER PARTY AT KITTY O’SHEA’S, AND A LISTING IN THE EVENING’S PROGRAM.